Description: New high quality aftermarket Asus ac power adapter charger. 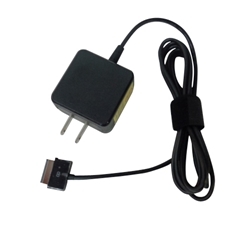 This power adapter is used with select Asus tablets and is 18 watt, 100-240V ~ 15V, 1.2A. This adapter comes with a US plug. Compatible Part #'s: 90-XB2W0KPW00000Y, 90-0K06AD00020Y, AD8273, TABPOWUS1.